Alex Ware is a 24-year-old man from Tunnel Hill, Georgia. He is full of life and loves reading, music, animals, and hanging out with his family and friends. However, his day looks very different from most of us. Alex has Duchenne Muscular Dystrophy – a genetic disorder characterized by progressive muscle degeneration and weakness. It usually starts at a very young age, most often for boys, but can also affect girls. Symptoms include muscle weakness, affecting the hips, pelvic area, thighs and shoulders, and later arms, legs, and torso. Eventually, it can affect the lungs and heart muscles as well. Alex was born with DMD, and his disorder makes mobility very difficult in a world that is often not well-designed to accommodate people with disabilities. Needless to say, Alex has had to deal with tremendous adversity in his life. We often take for granted freedom and mobility when we do not have people in our lives like Alex. Throughout his life, however, Alex has shown a lot of hope, inspiration, and tremendous faith. His dad, Nick Ware - a partner of ours in the senior living industry with Lovo Solutions - has spent his career designing and engineering low voltage systems and design layouts for cabling infrastructure at senior living facilities, among other types. He has worked on data centers, campus and municipal OSP, senior living facilities, hospitals, offices, call centers, and more. Where Nick’s passion truly lies is in providing a better way of life for his son. From a young age, Alex has had a dream of living in his own home and Nick has been working towards the goal of making this happen for him for many years. 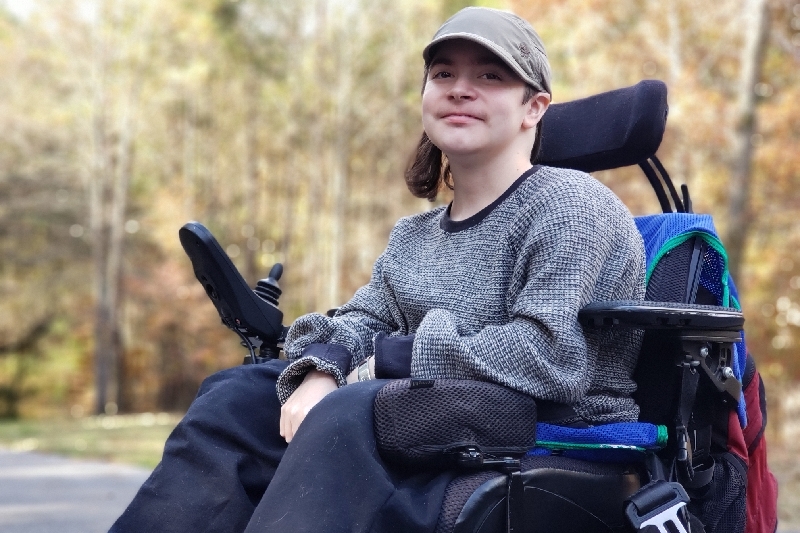 Nick, using his construction and electrical engineering background, came up with this idea to build a home for Alex which incorporated adaptive equipment, technology and functional design to address the specific needs of Alex and provide him with more independence. Alex helped with the design of the “Ware House Project”, including doing the house plans himself. Although they met many roadblocks along the way, they were eventually blessed to receive donated property of three acres from their neighbors (which is amazing!) to build this accessible home. Additionally, the idea of this home was always to provide a working model for future development, research, and awareness so that Alex and others with physical disabilities could benefit. Nick has relied on volunteers and generous donations of time, labor, and materials to make this important project happen for Alex. 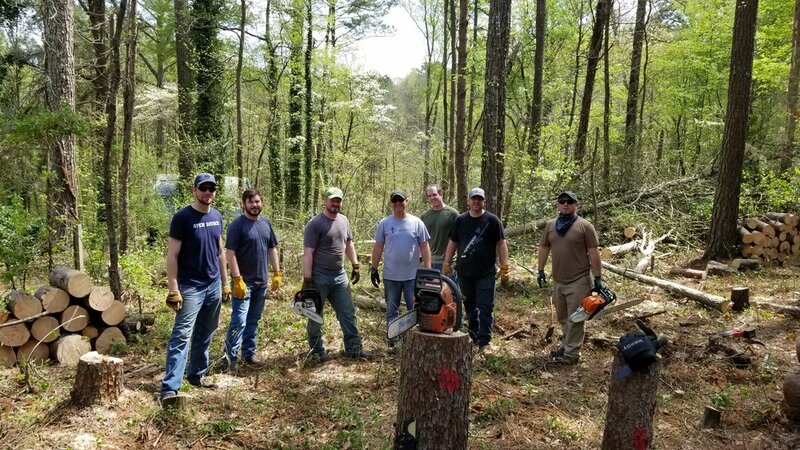 On April 11th, a group of us from Pioneer Technology volunteered some of our time and labor to help with chainsaws and pruners to clear out trees, branches, and brush so that the area could be bulldozed for the 900-foot driveway required to get to the home site. After 6 hours, we made a fairly significant impact on the plot. There is a lot more work to be done, but we were more than happy to give some of our time for this important cause. If you are interested in helping on the property, there are many projects over the next several weeks that require tools, people, and labor. You can contact evanb@pioneerit.com and we can connect you with Nick to coordinate work days. Once construction starts, there may be opportunities for contractors and people familiar with construction to provide their skills and experience to this project.